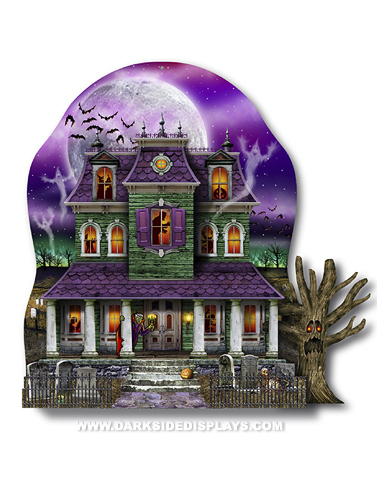 This haunted house table decoration will make a spooky addition to your table display 3-dimensonal folded effect. Vibrant image on die cut, heavyweight card stock. Printed on both sides. Easy to assemble. Haunted House 3D Centerpiece measures 12"W x 10"H.